Martini Prosecco served in a flute with DeKuyper Peach Schnapps and peach puree. The Bellini was invented sometime between 1934 and 1948 by Giuseppe Cipriani, founder of Harry's Bar in Venice, Italy. 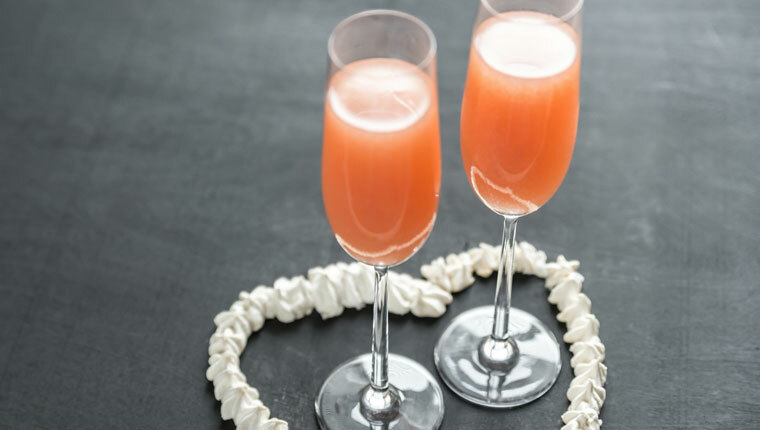 He named the drink the Bellini because its unique pink colour reminded him of the toga of a saint in a painting by 15th-century Venetian artist Giovanni Bellini. Floral and peach notes, starts of sweet then Prosecco cuts off the sweetness leaving a refreshing, crisp finish. 1. Build ingredients into a shaker. 2. Shake to mix all ingredients. 3. Strain into a flute.